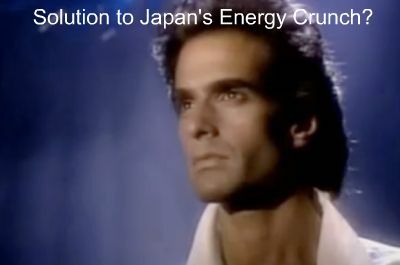 In addition to being a humanitarian and ecological disaster, the ongoing Fukushima Daiichi nuclear power plant crisis also spawned an energy crunch. A significant amount of supply, the equivalent of 9 average-sized American coal power plants, was lost. The 6 light water reactors at the plant had been an important source of power for Tokyo. More generally, the Japanese people are likely to have second thoughts about nuclear energy. Japan is a global leader in atomic power because it has almost no natural resources, so it has to import almost all of its raw materials. As such, nuclear is much less inimical to a trade balance that other forms of energy. But considering the 2 precedents to Fukushima (Three Mile Island and Chernobyl), it’s a safe bet that nuclear will play a much smaller role in the nation’s energy mix for a generation or longer. In the wake of the tragedy, I presumed coal would be Japan’s alternative to nuclear. Indeed, it’s the only logical alternative. Coal, nuclear, and hydropower are the three forms of electricity best suited for “base-load”* electricity generation. As Japan’s capacity for large scale hydro is largely tapped, it makes sense that any move away from nuclear would be a move toward coal. Almost as important is the fact that coal is much cheaper to import than liquefied natural gas, the only plausible alternative to generation from nuclear, coal, or hydro. Finally, American coal producers are being chased out of this country by the President’s war on energy, so they are building the infrastructure to export to growing Asian demand centers. All the facts seemed to suggest that Japan would make the move to coal. But today, as workers continue their struggle to contain radioactive leakage at the plant, resource-poor Japan has been forced to scale back that commitment to nuclear power and is scrambling to find alternatives. A new energy policy, which Japanese Prime Minister Naoto Kan began to outline this week, would emphasize solar and wind power and require pricey investment and yet-to-be-determined innovation. Although the prime minister has set new [and ultra-aggressive renewable] energy targets, he has yet to give specifics of how those goals will be reached — particularly how Japan will drastically reduce the price of solar energy. According to Japan’s Ministry of Economy, Trade and Industry, solar power has a generation cost of 60 cents per kilowatt-hour, while nuclear power costs 6 to 8 cents per kilowatt-hour. If Japan is to reach its target price reduction, solar power by 2030 will cost roughly 10 cents per kilowatt-hour. Obviously, that’s not a real plan. It is essentially what California has been banking on since the first time Jerry Brown was Governor, and it’s why electricity generation in the Golden State is a basket case. But with its supply of renewable energy as yet undeveloped, Japan is turning in the interim to fossil fuels. The Institute of Energy Economics estimates that Japan this year will need to import an extra 110,000 to 140,000 barrels of oil per day, an increase of 3 to 4 percent from the usual amount. A parallel increase of about 10 percent is forecast for imports of liquefied natural gas. I am sticking to my prediction that Japan will turn to coal. The increased imports of oil and natural gas are due to the fact that many small, marginal oil and gas power plants in the North have been called into action to compensate for the generation lost in the disaster. When Japan starts building large plants, my bet is that they’ll be coal powered. Coal is expensive to transport. The amount of steam coal being exported from the US to Asia is trivial at best. According to the US EIA 3.5 million tons of steam coal was exported to Asia is the first 9 months of 2010. It takes about 4 million tons of steam coal to feed a single 1,000 megawatt coal plant for a year. Trains run on diesel fuel. By the time ‘inexpensive’ coal from Wyoming is transported by rail to the nearest seaport, loaded on a ship and floated across the pacific it’s not ‘inexpensive’ anymore. 2/3rds of US Coal exports are metallurgical coal. One important fact that has not been mentioned. China has now constructed some 300 village and town solar electric power systems in which the base power is supplied by a large bank of nickel iron batteries that have a working lifespan of about 40 years. By the use of innovative storage there is no need for base load generation … the batteries do that and daily solar charging keeps the batteries up. So with a bit of planning and good engineering a power system can be created using renewables alone. China has completed a decade of building pure renewable energy power systems for some 300 villages and towns. Nickel iron batteries are housed in a large warehouse near the farm of solar panels. The Base-load generation is simply the batteries which have a lifespan in this application of about 40 years. In this way it is possible to use 100% solar or other renewable energy system. The lack of a focus on proper energy storage is the reason people feel that something more than renewable s needed. However with local storage there is no need for any source beyond renewables. Our own house is off grid in terms of lighting and computers. Every night for over a year now the house is lit up like a Christmas tree with only solar energy as the supplier. Green house gases has nothing to do with global warming, read the explanation below. The real cause for global warming is the earth’s orbit around the sun is decaying. Green house gases makes lots of sense in summer, but makes no sense in winter. If something don’t makes sense it generally not true. The orbital decay theory makes sense in summer, and winter seasons. Crude oil, and natural gas is the life blood (fuel)of this planet, and its extraction from this planet is causing global warming. Please read my blog at: orbital-decay1.blogsopt.com for more details. In summer there is enough irradiance (heat) from the sun for green house gases to trap. The sun’s irradiance is trap, causing the surface temperature on this planet to rise, just like in an actual green house. In summer the transparent walls of a green house allows the irradiance from the sun to enter into the green house, and trap the heat. The results is a temperature rise within the green house. In winter the green house only receives sun light, and none of the sun’s irradiance, so it don’t get hot in the green house in winter. In winter the green house gas theory makes absolutely no sense, because there’s not suppose to be enough irradiance from the sun for any green house gases to trap in winter. The sun is over the opposite hemisphere, so why are the winter getting warmer? The hemisphere in its summer reason receives the sun’s irradiance, and light. The hemisphere in its winter season receives only sun light.. The warmer winter temperatures are spawning winter tornadoes, winter floods, instead of snow, and snow storms accompanied by thunder, and light. It suppose the be too cold for the development of these phenomenon. As the earth moves closer to the sun the winter will gradually recede, and in the distant future there will be no more winters. In Houston, Texas (latitude 29.77 degrees-north) the winters are sunny,and warm. The cold weather is setting in later into the season. During the months of December, and January we wear t-shirts, short pants, and sandals. Houston is having very unusual weather. What does green house gases have to do with sunny warm winters? I notice you green house gas theorist never talk about the warm winters we are having, because you can’t explain why the winter are getting warmer on average. Green house gas theorists can’t use the green house gas theory to explain the higher, than normal temperatures in winter, the explanation wouldn’t make sense.